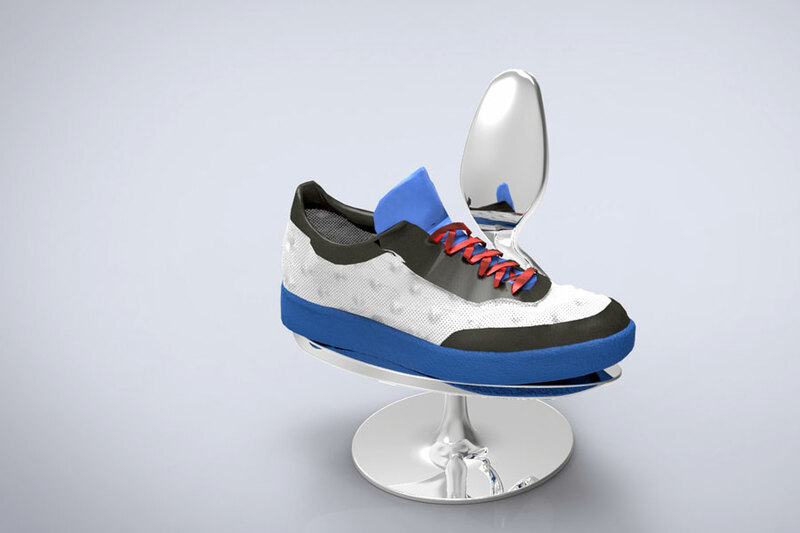 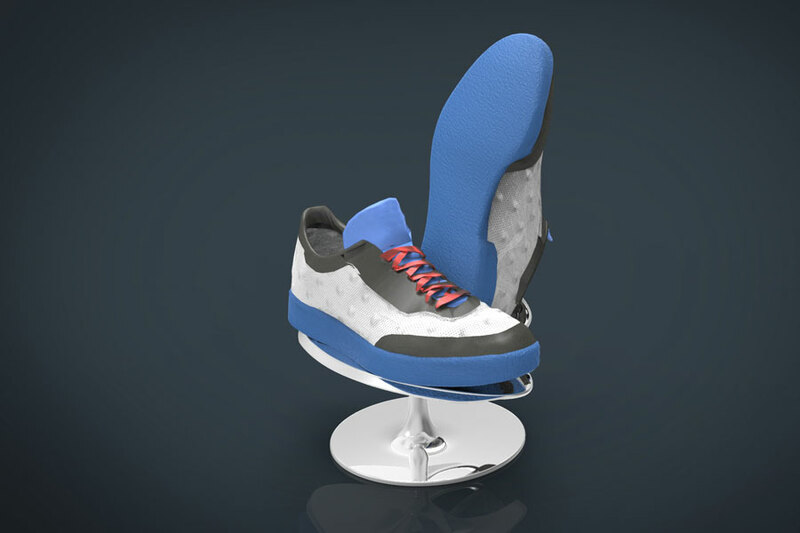 Unique shoe display designed especially for sneakers sales point of purchases in order to display the bottom of the shoe. 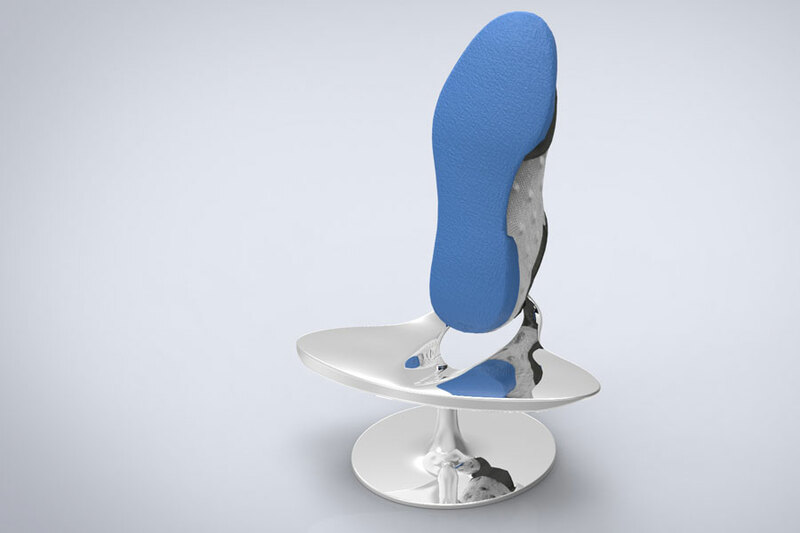 It is well known that the design of the sole of the shoe is as important as the rest of it. 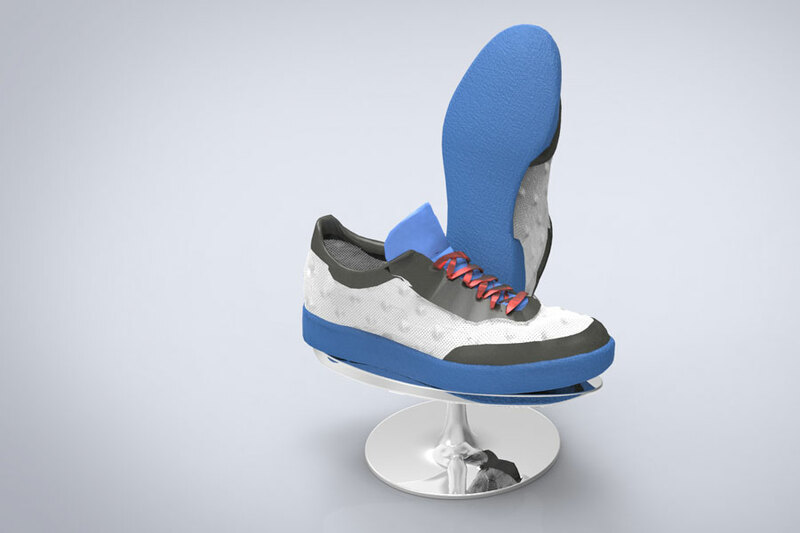 We were approached and asked to take this new concept of giving the shoe sole as much attention as the shoe itself and come up with a unique way to present both in a point of purchases. 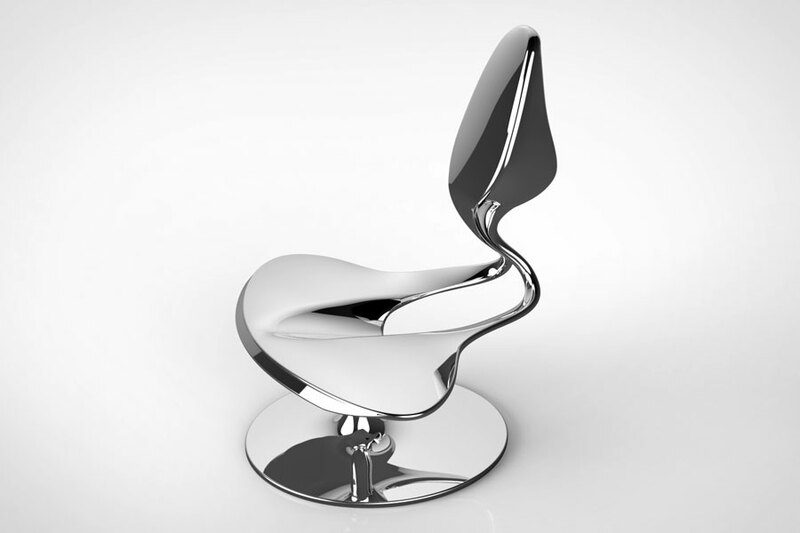 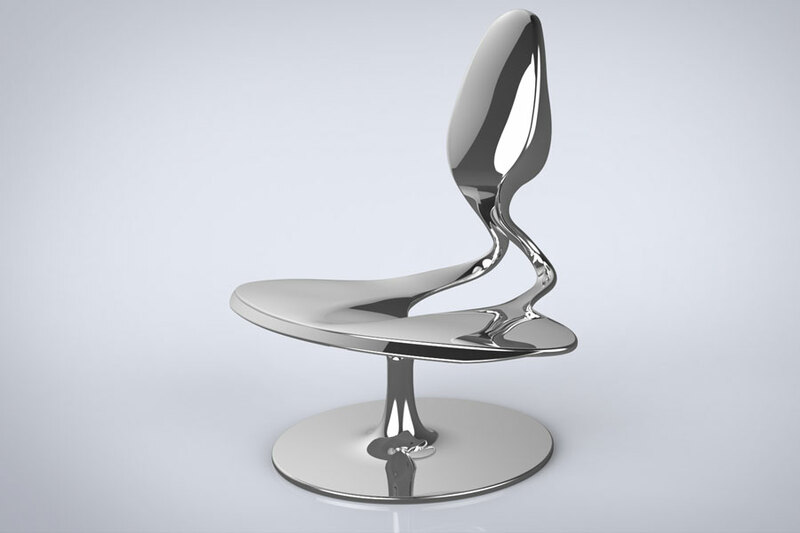 This unit was designed to be made from polished Aluminum castings.